GREAT COLOR COMBO!! GREAT TRUCK!! 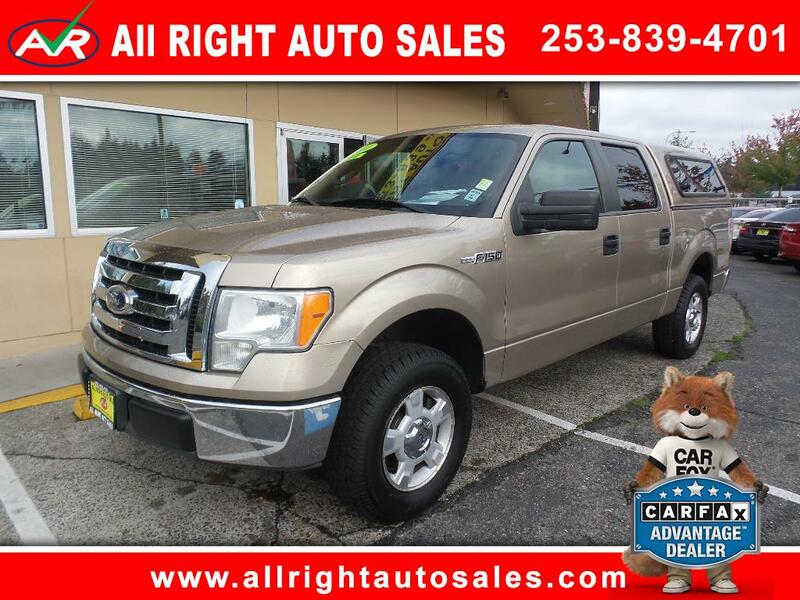 Come and check out this Ford truck, you won't be disappointed in the quality or selection of our gently used vehicles. Don't delay give us a call today!! Thank you for looking at this vehicle here at All Right Auto Sales. All vehicles are inspected for safety and mechanical. CARFAX report is available for every single vehicle in inventory. We have great financing available for the good and not so good credits. If you have any questions, please call us at 253-839-4701 or apply online for fast approval. With over 100+ vehicles in stock we are sure to have something that will interest you. All our vehicles have clean titles.